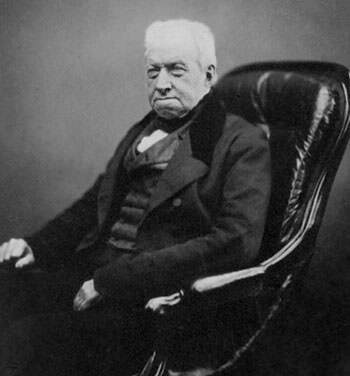 In 1827, Robert Brown observed pollen grains in water through a microscope and found that they moved through water but was not able to determine the mechanisms that caused this motion. 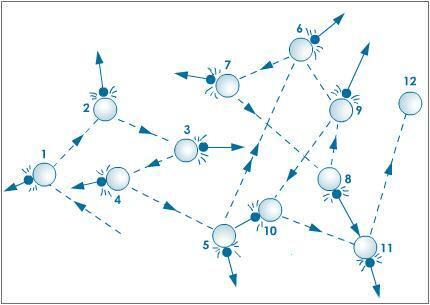 In 1905, Albert Einstein published a paper on this random motion of particles in a fluid, known as Brownian motion. Einstein explained in precise detail how the motion that Brown had observed was a result of the pollen being moved by individual water molecules. Though atoms and molecules had long been theorized by scientists, Einstein’s explanation of Brownian motion served as definitive confirmation that atoms and molecules actually exist. During his explanation of Brownian motion, Einstein determined the size of atoms, and how many atoms there are in a mole. He enabled the experimental determination of Avogadro’s number and therefore the size of molecules. Einstein’s statistical discussion of atomic behavior gave experimentalists a way to count atoms by looking through an ordinary microscope. 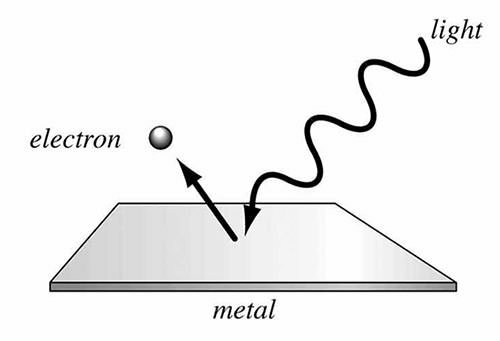 Photoelectric Effect is the emissions of electrons from a metal when light shines on it. Scientists were puzzled with this effect as it couldn’t be explained with Maxwell’s wave theory of light. In his revolutionary paper, released on June 9, 1905, Einstein challenged the wave theory of light and suggested that light could also be regarded as a collection of discrete energy packets (photons). Initially Einstein’s particle theory of light was universally rejected by physicists until it was experimentally verified by Robert A. Millikan about a decade later. Einstein’s discovery was pivotal in establishing the field of quantum mechanics. Quantum mechanics in turn explained many features of our universe and is used a great deal in modern technological inventions. The inconsistencies of Newtonian mechanics with Maxwell’s equations of electromagnetism led Einstein to write his legendary paper ‘On the Electrodynamics of Moving Bodies‘ which was published on September 26, 1905. 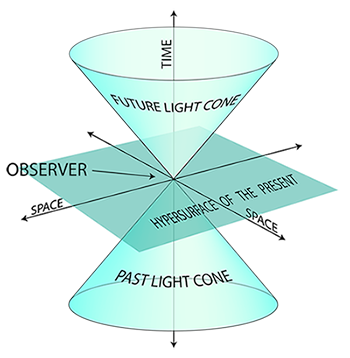 Einstein proposed major changes to mechanics while handling situations close to the speed of light. This later became known as Einstein’s special theory of relativity. It was supported by confirmatory experimental evidence and soon gained widespread acceptance. As of today, special relativity is the most accurate model of motion at any speed. In relation to his theory of special relativity, Albert Einstein predicted the equivalence of mass (m) and energy (E) through his famous mass–energy equivalence formula E=mc2, where c is the speed of light in vacuum. This was of paramount importance because it showed that a particle possesses an energy called the “rest energy”, distinct from its classical kinetic and potential energies. It implied that gravity had the ability to bend light and could be used to calculate the amount of energy released or consumed during nuclear reactions. 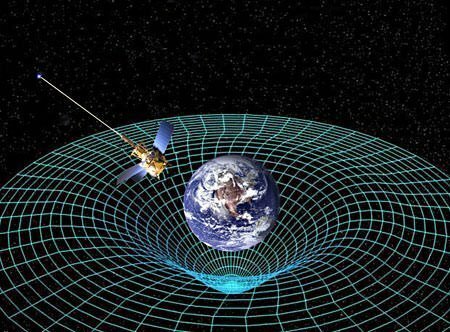 In 1916 Einstein published his general theory of relativity, which generalizes special relativity and Newton’s law of universal gravitation, providing a unified description of gravity as a geometric property of space and time, or spacetime. General relativity helped to model the large-scale structure of the universe and its predictions have been confirmed in all observations and experiments to date. It has developed into an essential tool in modern astrophysics providing understanding of phenomena like black holes and gravitational lensing. In 1924, Einstein received a paper from Indian physicist Satyendra Nath Bose on a counting method that assumed that light could be understood as a gas of indistinguishable particles. Einstein submitted the German translation of the paper to a journal. In collaboration with Bose, Einstein extended the idea to atoms and this led to the prediction of the existence of phenomena which became known as Bose–Einstein condensate. It was not until 1995 that the first such condensate was produced experimentally. 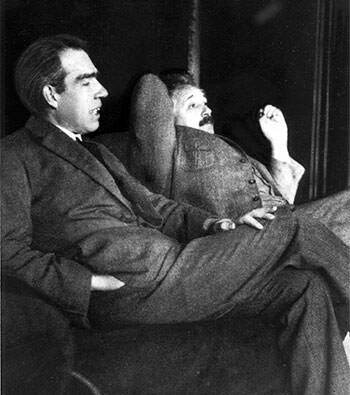 Albert Einstein and Niels Bohr were involved in a series of public debates about quantum mechanics. These debates are remembered as they are considered important to the philosophy of science. They not only represented one of the highest points of scientific research in the first half of the twentieth century but they also brought to focus an element of quantum theory, namely quantum non-locality, which is absolutely essential in our modern understanding of the physical world. In 1921, Albert Einstein was awarded the Nobel Prize in Physics “for his services to theoretical physics and especially for his discovery of the law of the photoelectric effect”. In 1925, he was awarded the Copley Medal by the Royal Society, which is perhaps the oldest surviving scientific award in the world. Einstein received numerous other awards and honors including Gold Medal of the Royal Astronomical Society in 1926, Matteucci Medal in 1921, Max Planck Medal in 1929 and Franklin Medal in 1935. 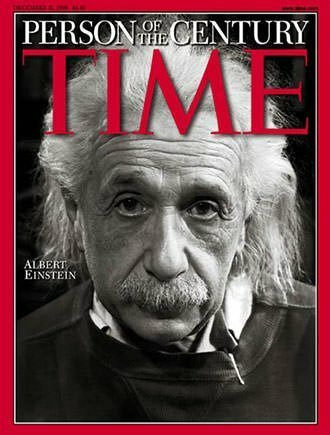 In 1999, Time magazine named Albert Einstein as the Person of the Century. Albert Einstein’s scientific theories accelerated the development of the world like never before and he gave scientists the tools to mold almost every observable aspect of life as we live today. From nuclear energy production to synchronization of GPS satellites to computers to many everyday consumer products; all can be traced or linked to Einstein’s work. His impact is not just restricted to science it can be seen in other fields like philosophy, visual arts and literature. Philosophical movement logical positivism, art movement Cubism and numerous science fiction novels bear the imprint of Einstein. Albert Einstein changed the world perhaps more than anyone has ever done in its history. If I were to use any information in this article how would I cite the information? I have to cite everything I use in a project. We don’t use citations in our articles as yet. We have also received several requests to increase the content on the site and hence can’t spent an excessive amount of time on one subject. I suggest you to use the information on the site as a starting point of your research as we usually cover all major points. If you then search for specific points you will find the works to cite. Put it in quotations, and then make a bibliography at the end, showing what websites you used. Is it possible that you have the wrong date for #3 (Einstein solved the riddle of the photoelectric effect) It says he released a paper in 2005? Thanks for pointing the error Jennifer. It has been corrected to 1905. Its really good! It helped me with my work…..thanks for the info.